Two good friends each bought a 246 GTS. The friends want to see their cars transformed into the beauties they were from the factory and then to enjoy their cars together. The two friends decide to restore their respective Dinos. They even want to bring them back to their original colors. We are very lucky to be selected and very excited to have an opportunity to work with these two good friends in the refurbishment of their Dinos. We will be making repairs, re-surface and paint the two Dinos. One of the friends’ cars hasn’t been delivered to us yet. So, we’ve started on the one friend’s Dino 246 GTS. 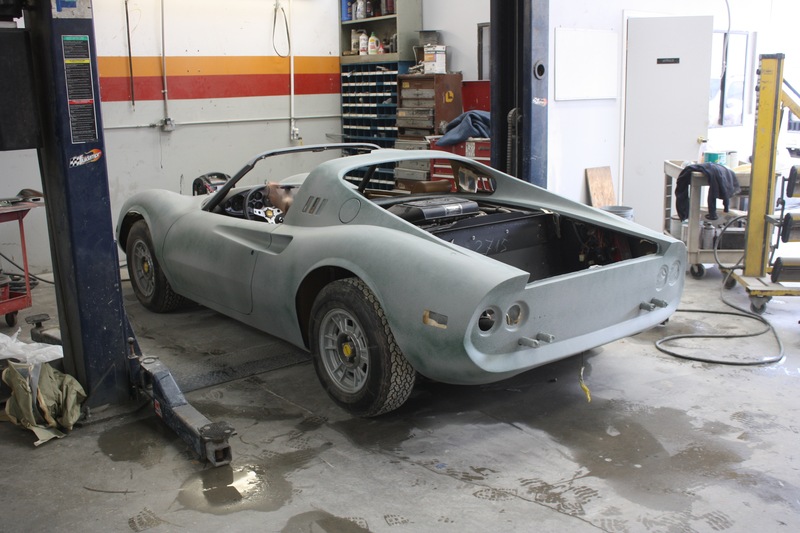 We’re bringing this Dino 246 GTS back to its original color. Actually it’s the color that makes it very rare and special. During our research phase we discovered, through Matthias (http://www.dino-book.com/), that the paint on this car was actually a very limited Pininfarina color option. There were only a few Dinos painted with special colors, some of these were from the Pininfarina color chart of paints. Twenty-eight (28) Dinos — to be exact — were painted in these special colors. Of those 28, only three were painted with Pininfarina’s “Oro Kelso” gold. We picked this Dino up at a shop on the Central Coast of California. The car was partially dismantled and slated to be repainted. 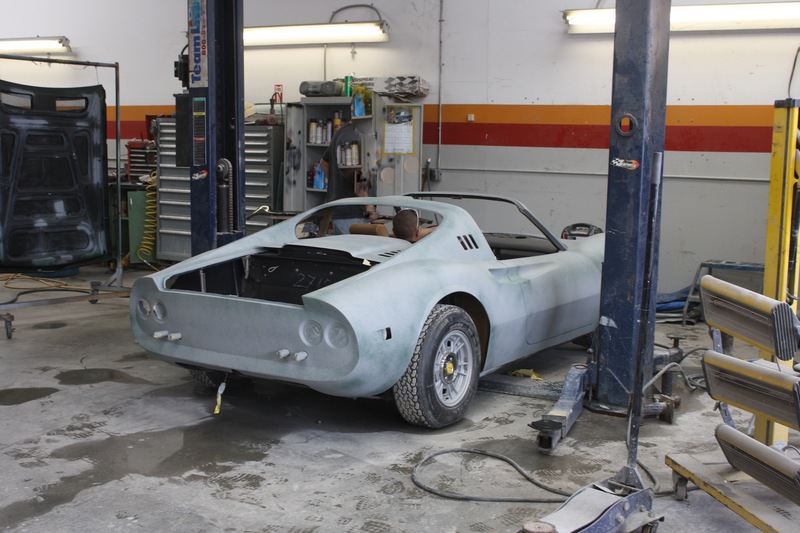 It’s a very clean, low mileage Dino with minimal repairs needed. 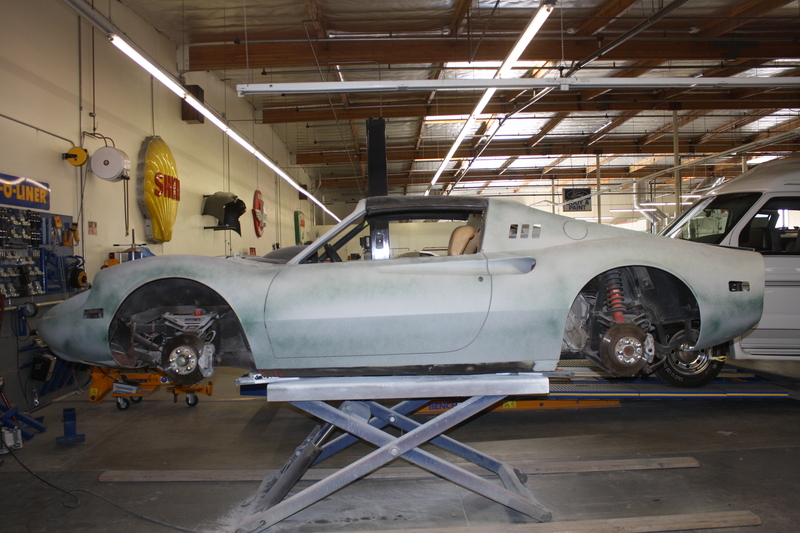 Nevertheless we have our work cut out for us as we fabricate Euro-style lights and manage a bit of body repairs.